Paul Schrader’s First Reformed is his fourth film in five years, following the reinvention-spawning masterpiece The Canyons (2013), the failed, compromised 2014 Nicolas Cage thriller Dying of the Light (recently repurposed, remixed, and reclaimed as a new film entitled Dark), and the gonzo, goofy Nicolas Cage thriller Dog Eat Dog (2016). These previous films are representative of Schrader progressing from the end of a financially supported, studio-assisted working methodology into a cheaper, bolder, more liberated one, and First Reformed is the apex of this new phase in what’s now a nearly 50-year career. Schrader shows no signs of slowing down. And how unlikely is that? Watching First Reformed, one sees a theoretical thinker continuing to push the tools of his chosen medium into unexplored places. Even more unlikely: First Reformed finds the 71-year-old Schrader maturing into a sense of confidence and patience with himself unseen for over two decades, perhaps since Affliction (1997). But, with this film, he is, as always, up to something new. Deliberately at odds with contemporary mainstream style, pacing, and narrative clarity, First Reformed is a young man’s film, made with a young man’s unbroken confidence and reckless sense of “now or never.” Starring Ethan Hawke as a Calvinist Reverend whose life becomes intertwined with that of Amanda Seyfried’s grieving widow, the film is a slow, deliberate rumination on faith, the fear of environmental collapse, self-doubt, and grief—all the things an actual young man making this film would fail to capture with any measure of authenticity. Nothing would be easier for a filmmaker of Schrader’s age and status than to throw up his hands and proclaim that the system has moved away from him. Instead, he learns: he makes movies quicker, cheaper, and with more furious intensity than any of his peers. (Imagine De Palma making a movie as cheap and icky as The Canyons. It would be sublime. It will never happen.) The only thing that makes sense to Schrader is to continue to consume cinema at a profound rate and to find new inspiration in new technology within whatever infrastructure is possible at the given moment. And yet, Schrader does this while simultaneously looking backwards: this year will see the publication of a new edition of his 1972 book Transcendental Style in Film along with a newly written essay-length introduction called “Rethinking Transcendental Style,” the writing of which was, not coincidentally, done in tandem with the conception of First Reformed. “Rethinking Transcendental Style” concludes with the visual summation of Schrader’s examination of the modern landscape of Slow Cinema: a graph of his own creation depicting a circle with an “N” in the centre, representing narrative. The further away you get from the “N,” the closer you come to passing through what Schrader terms the “Tarkovsky Ring,” or the point at which commercial-leaning slow cinema becomes less well suited for theatrical exhibition. 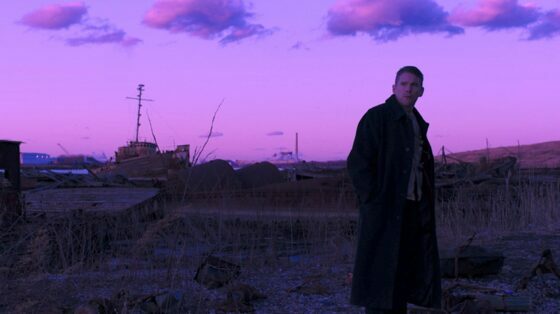 With First Reformed, Schrader has slowed the measure and tempo of his filmmaking to a controlled, deliberate crawl while forging ahead into familiar, yet unexplored, territory. Paul Schrader: There’s an enormous sense of satisfaction I derive from First Reformed, because it pulls together threads of what I’ve been thinking and doing for almost 50 years. The first serious writing I did on film was about spiritual cinema, Transcendental Style. That was in 1972. From that point on, I became a screenwriter and director, and I never thought that I would make that type of film. I like those films, but those films are not for me. I was much more interested in action, empathy, sexuality, violence, and these really aren’t in the transcendental tool kit. So I went on and left that world behind. The first script I wrote was Taxi Driver (1976). Now, 45 years later, I have made a film that combines the thinking in that book with the narrative drive of Taxi Driver. So I have my first philosophical book and my first screenplay combined in this current film. That has been very intimidating because it’s a little difficult to think of what to do next. I hope that First Reformed is not my last film, but if it is, it’s a very good last film. Scope: By aesthetic design, First Reformed is inspired by a certain type of cinema yet it is very much a contemporary film. You could have decided that your way to make this style of film was as a period piece. But you took a style and made something startlingly modern. Schrader: I’m not that much interested in history. I’m much more interested in what people have on their minds at the moment. What is this peculiar place we’re living in, now? So it would never have occurred to me to do a historical piece. That said, the roots of First Reformed are in a series of films from decades ago. It began three years ago when I had dinner with Pawel Pawlikowski. We started talking about a certain kind of spiritual film made at a certain budget level and how it’s now possible to make films like this and be financially responsible in a way that it wasn’t possible ten or 15 years ago. Certainly in this country. I thought to myself, “You know, it’s time. You’ve been saying for years that you’d never make a film like this. You’d never get caught skating on that Bressonian ice. But you’re going to be 70. Now is the time.” By the time I reached home, my mind was already engaged. And within a day or two or three, the story line was starting to come together. You can spend two years looking for an idea. But when it actually comes to you, then it pulls together quite quickly. People will ask you, how long did it take you to write this? And you say, “About ten years.” And then the actual writing was about two weeks. I looked at the models. You have the main character from Journal d’un curé de campagne (1951). Then you have the setting of Winter Light (1963). Then I decided on the ending from Ordet (1955). I added a levitation scene from Tarkovsky, and then I tied it all together with the glue of Taxi Driver. Look at the model of Winter Light: small empty church. A man going through the motions meets a young couple. Max von Sydow is in despair because of nuclear weapons. Well, shift that over. Take that young couple and ask yourself, “What is the current despair?” The current despair is environmental collapse. It’s more real in a way, because nuclear weapons are kind of theoretical. It may happen. Environmental collapse is not theoretical. It is happening and will happen. So that becomes the shift. Schrader: Well, that’s what we all do. The one before this, Dog Eat Dog, what I set out to do was ask how do you make a crime film in 2016. After Scorsese, after Tarantino, after Guy Ritchie, after Wayne Kramer. To answer that question, I went through all these recent crime films and I started to get a sense of how to pull a new film out of that buffet. What items you could select and recombine to make this thing feel fresh again. And that’s what all artists do, whether consciously or unconsciously. Some people, like me, actually sit down and study, and make notes and say this from there, this from there, this from there. There is nothing new. Tell me one thing new. Scope: There are a lot more contemporary crime films than slow cinema, religious-exploration films. Schrader: But the slow films are a lot longer! Scope: You’ve mentioned all the forbearers. I’m wondering what you looked at from contemporary examples of slow cinema. Schrader: Well, the slowest of the slow, not much. There’s not much I’m going to get from Wang Bing or Béla Tarr or Lav Diaz. Scope: But you’ve watched their films? Scope: When I visited the set, you showed me on your phone a nine-minute clip from Werckmeister Harmonies (2000). You had it at the ready. Schrader: Absolutely. But the ones that interested me most were the ones that were still working in the commercial context as opposed to the festival and museum context. I define this with respect to Tarkovsky. As cinema moves away from narrative, at some point it has to pass through the “Tarkovsky Ring.” And once it passes through the Tarkovsky Ring, it leaves the world of audiences and enters the world of museums and festivals. 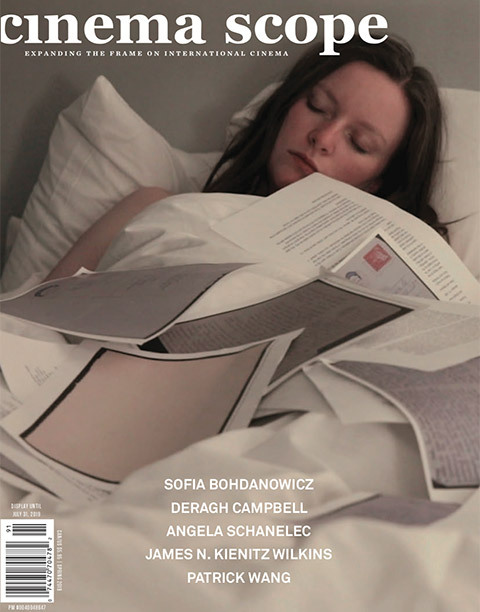 So I was interested in films still inside the Tarkovsky Ring, such as Silent Light (2007) by Reygadas, Stations of the Cross (2014) by Dietrich Bruggemann, Pawlikowski’s Ida (2013), obviously, Hadewijch (2009) by Bruno Dumont, Lourdes (2009) by Jessica Hausner. Those are films that are still kind of interested in playing to an audience. They’re not simply museum artifacts. Scope: Which you consider some of the longer movies to be? Schrader: Yeah. They’re installations. They’re like The Clock. That’s made for museums. It’s not made for a theatre. Scope: You’re focusing on films that play with these conventions, do so roughly within a two-hour framework, and are for all intents and purposes commercial films, albeit inaccessible to the common audience. Films that play with those conventions but do so without becoming something that is a badge of honour to have actually watched. Schrader: And also that have a legitimate shot at returning their investment. That theoretically have a financial justification. I made this film for $3.5 million. Scope: Do you want that number in here? Schrader: I don’t care. At $3.5 million, shot in 20 days, this is a responsible act on my part as an artist. I’m not being irresponsible. Maybe it’s because of my Calvinist upbringing, but I’ve never felt comfortable being irresponsible. If you give me a hundred dollars, I have to believe I can get you a hundred dollars back. Scope: How much does that financial responsibility impact your approach to the story you want to tell? The filmmakers you’ve mentioned are not American and working in a way that $3.5 million is out of the question. 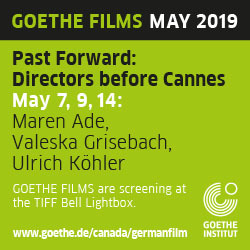 Scope: Thinking of the commercial concerns yet being inspired by filmmakers established in the canon but not established in a commercial sense, is there a contemporary audience for films like First Reformed? Who is out there looking for a two-hour-long slow movie? Or how do we teach people to want that? Schrader: That’s the Wild West of streaming. Virtually everything we’ve learned about distribution doesn’t count anymore. Every six weeks they change the rules. I’m caught in the middle now of Babylon Berlin, which I think is the best thing I’ve seen in years. It’s 16 episodes, so about 14 hours long. Better than Berlin Alexanderplatz (1980). That’s a certain model. Scope: People will sit at home and watch ten to 15 hours of a deliberately paced TV show. Now, can you get them into the theatre for a Tarkovsky-length film? Schrader: That’s interesting. I’ve talking with A24 for the release of this film, and I think that the definition of the film and the discussion of the film should begin in the theatrical context. The first people who see the film, the people who review the film, should see it in a theatrical context. After that, it no longer matters. But it should be defined by people who see it in that way. Whereas for Dog Eat Dog, I didn’t give a damn if people ever saw it in the theatre. It was never meant to be seen in a theatre. The Canyons was never meant to be seen in a theatre. But for certain films, it’s good to start the discussion in a hermetic environment. Scope: And fortunately you’ve already had that because of the festival world. At any level, when we’re lucky enough to premiere at festivals, the first responders have no choice. They are already in the theatre. Right now, six months after your Venice, Telluride, and Toronto premieres, the reputation is already building from the hundred or so critics who saw it at those festivals. Schrader: And it continues to build. I just came from Rotterdam. So that’s the whole lead-up. The new gatekeepers are the festivals. And with this massive volume of product, far more than anyone can watch or even comprehend—there are 500 scripted TV series shooting as we speak—the real gatekeepers are the festivals. If you make it through those gates, then your head is above the crowd. It doesn’t mean you’ll be successful, but at least people know you’re there. Scope: This is where a lot of the filmmakers you refer to as makers of modern slow cinema live and breathe. Lav Diaz wins awards at major festivals, in competition with eight or nine-hour movies. Schrader: But he doesn’t play theatrically. And I don’t know the financial understructure of his films. A lot of these slow cinemas from Third World countries are underwritten by funds. There is a fund out of Rotterdam specifically for these kinds of films. Often it’s a chance for relatively unknown cinema to make a mark because they can get subsidized as a cultural product. But there is no mechanism in America to subsidize art cinema. Did I ever show you this graph I did for the new piece that I wrote for the book? If you assume that film is inherently narrative—that the moment you place one image next to another, you’re creating a narrative—then as film flees from narrative in the Deleuzian sense, it can flee in one of three directions, three tendencies. One is the surveillance camera, another is toward the art gallery, and the third is toward Mandala, the religious experience. And then you can chart the directors who flee narrative, and then you can chart the Tarkovsky Ring they pass through. Everyone outside of it is outside of commercial cinema. But every filmmaker on this graph is acting in some degree against the narrative impulse. They’re all slowing it down. Scope: These are all filmmakers you’ve familiarized yourself with? Scope: So outside of the ring, you have Béla Tarr, Lav Diaz, Michael Snow, Tony Conrad, James Benning, Pedro Costa, Lisandro Alonso, Albert Serra, Tsai Ming-liang, Ben Rivers. This is all outside the realm of narrative? Schrader: Outside the realm of commercial cinema. Scope: Albert Serra made a Louis XIV biopic, which played in theaters. Did you see that? Schrader: I saw it at Cannes. I liked the perversity of it. I liked the Rossellini of it all. Scope: You’ve got Rossellini right here, very close to the nucleus of narrative, next to Ozu, Dreyer, Ceylan, Bresson, Dumont. Where would you place First Reformed on this? Schrader: Definitely inside the ring. Scope: Inside but closer to the Mandala? Schrader: Closer to Rossellini I suppose. Scope: How does your conversation with an actor fit in with this idea of boredom and duration? You are asking them to sit there for three, four, five minutes. Schrader: Fortunately with Ethan, I had an actor who understood. The first conversation I had with him, I said this is a “lean back” performance. Sometimes you lean into the scene and sometimes you lean away from it. You give the viewer less than you can. And as soon as those words came out of my mouth, he said, “I know exactly what you’re talking about.” Ethan is such a renaissance man: film director, theatre director, author, playwright, composer, and actor. When you’re dealing with Ethan, you’re dealing with someone who understands this completely. Scope: How much do you want people to absorb this intellect? Do you only need to give people two hours of the images that they will respond to and performances that will sell these ideas, or is there a way to create a dialogue between intellectual thinking about film and a commercial movie starring movie stars? Schrader: The big challenge of working on the slow side is using boredom as an aesthetic tool. To give an example from Bresson, one of the first people to do this: a man exits a room, closes the door. Normally in a regular film, you lay the splice as the door closes. Bresson waits one, two, three seconds on the closed door. What’s happening then? Something is happening. It’s not nothing. You’re watching a closed door. In real life you don’t watch a closed door when someone leaves. Your eye moves somewhere else. But in a movie, he holds it on that door. Now what if he holds it ten seconds on the door? What happens? What if he holds it 30 seconds? What happens then? Now you are involved with what Henri Bergson called duration. La durée. What happens in the duration? What is your mind doing? The filmmaker is now putting your mind to work. What thoughts are you having in the duration? To what degree can the filmmaker determine what thoughts you will have in the duration? And so the delicate dance of slow cinema is to activate the viewer during the duration to use boredom as an aesthetic tool, but not drive the viewer out of the theatre. What happens when you’re bored? Well, you either engage or you exit. And the trick is to engage the bored viewer. How do you do that? Every slow filmmaker has a different little formula to do that. It’s a contract not unlike church attendance. No one walks out of church because they’re bored. They go to church knowing they will be bored: to experience that quietness. So you go to certain movies and know you’re going to be bored to some degree. And the filmmaker can use that to take you some place else. But if he abuses that, you will leave and you probably won’t ever come back to that church again. Issue 73 Table of Contents Whatever Happened to Lizzie Borden?